This is a juice I really enjoy and can’t seem to get enough of. It’s one grapefruit and one apple. I actually grew up not being particularly fond of grapefruits as I found them to be too tart, but when juiced with an apple, the apple adds a sweetness that makes it an absolutely divine juice. 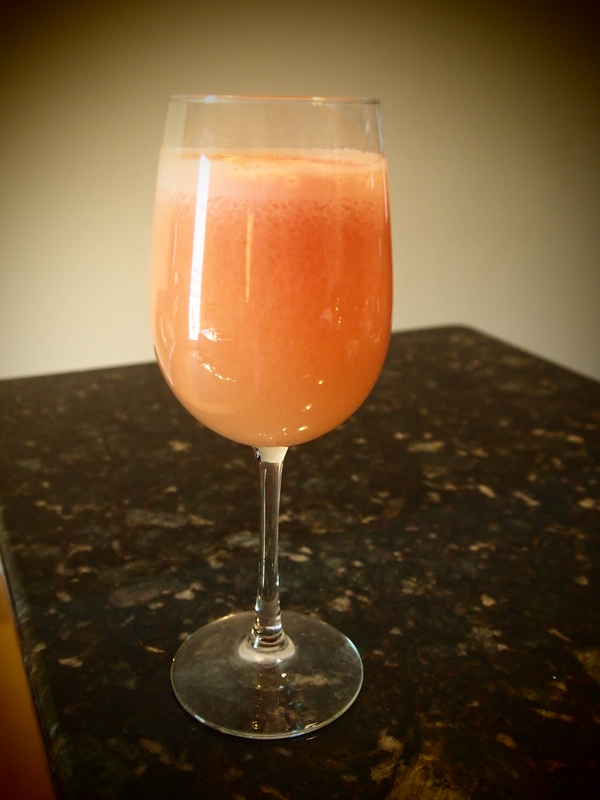 I made the juice pictured with one red grapefruit bought at a local farmers market and an Organic Fuji apple. If possible I always try to purchase local and organic fruits and vegetables. Organic Fuji apples are my favorite and taste far and above waaaaay better than any conventionally grown one. Once I went Organic Fuji…I never went back. Thoroughly wash both fruits and quarter and peel the grapefruit. Don’t peel the apple, that’s where a lot of the nutrients are! Both grapefruit and apple are loaded with Vitamin C and lots of other nutrients such as B vitamins, potassium and calcium. Grapefruit juice should not be used to take prescription drugs as the juice inhibits their metabolism and absorption. My journey as a health conscious individual began in the Summer of 2005. It all began with a book I read by Raymond Francis called Never Be Sick Again. To be honest, the only reason I picked up the book while browsing the aisles of Barnes&Noble, was because of the catchy title. Thank God for that title! I was also a very sickly individual and idea of never being sick again sounded impossible. All I needed to do was think of a cold and I’d catch one. I devoured that book in a few days and…wait for it…”my life has never been the same!” I seriously hate that cheesy phrase but that’s exactly what happened to me. Since then, I read almost every book I could get my hands on, made friends with my sneakers and began an intense love affair with fruits and vegetables. This journey has been so much fun and one of the best gifts I’ve received, besides better health of course, is juicing! 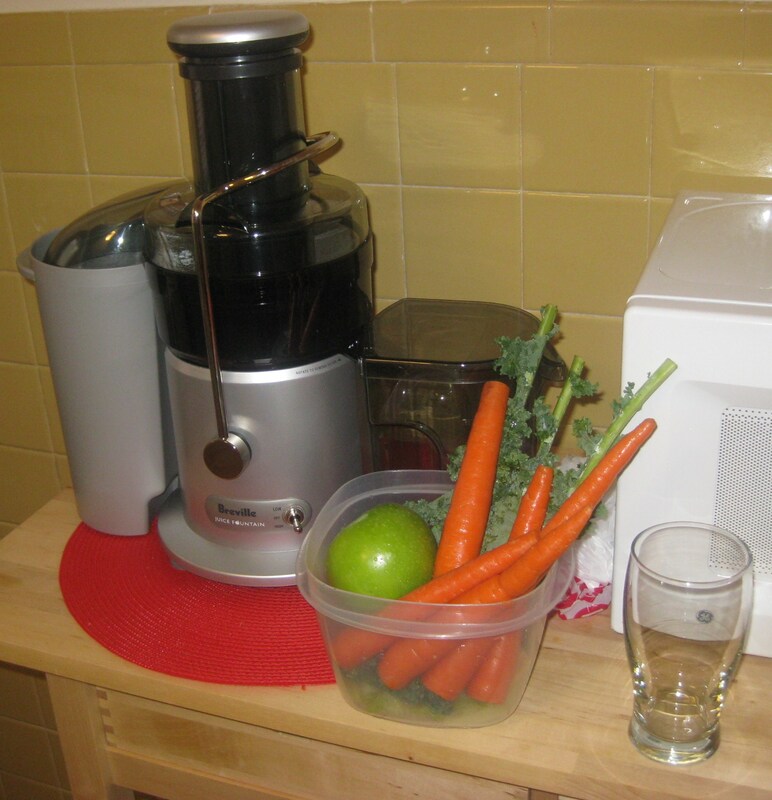 I bought my beloved Breville juice in December of 2008 after having learned of the many benefits of juicing that I will share later and have been juicing ever since. I still remember that first juice I made (carrots, kale and an apple) and how incredibly fresh and ‘alive’ it tasted. I could feel my cells thanking me. It was filling, delicious, refreshing and full of all the vitamins and live enzymes I knew my body craved. Since then, I’ve made all kinds of juices, some amazing and some down right nasty, but I’ve enjoyed every bit of the experience. I took this picture the day I bought it (as a Christmas present to myself :-)) back in December 2008. Hands down, it is my favorite kitchen appliance and the best self-gift ever 🙂 As for the first juice I made…well…it was love at first sip! I have created this site for the sole purpose of sharing my love of juicing with the world. It has brought me great joy and great health! I look forward to every post, juice, twist and turn that this journey will bring.